NHK World is English international news channel from Japan, Now it has removed from DD Free Dish platform and TeleShop TV added at same slot. Teleshop TV is Hindi shopping channel, now DD Free dish have 3 shopping TV channels on its platform included HomeShop18 TV and Naaptol Blue TV. 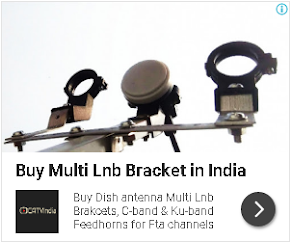 For more updates of ABS Free dish and DD Free dish, keep in touch with us. Sorry to say that NHK World is my one of the favorite TV channel.. Sorry to say that NHK World is my one of the favorite channel..
As this channel removed from free to air, now a days I saw this channel from the App. My request to the authority person, please put this channel free to air. It is very sad to hear that NHK world has been removed from channel list. I am learning japanese language and NHK world channel helped me a lot in learning.And I believe that it is best channel for anyone to watch.I sincerely request you to please get this channel back. It was very terrible of you that you removed NHK World channel and replaced with a teleshop channel. It will be very kind of you to restore the NHK World channel. Please respond to this suggestion. Looking forward to your action.